When you’re hungry to grow, expand and drink deeply of life, you want to be as productive as possible. And with so many choices of how to drink deeply of life, we can add a lot to our plate. 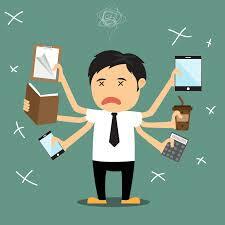 Enter multitasking management that will improve your productivity. It starts, innocently enough, with inspired action and a will to accomplish, build and fulfill what’s in our heart or mind to create. But if we’re not careful, it quickly turns into being buried in work and delayed outcomes rather than the productivity we thought we were creating. This entry was posted in Tools and Information and tagged Improve Productivity, Improve Your Productivity, multitasking, Multitasking Management, Productivity. Bookmark the permalink.